OSCAR, un jeune chat, a été violemment lancé contre un mur par un homme à Marseille, il y'a quelques jours. Son acte a été filmé et cet homme a publié cette video sur internet. De nombreuses personnes, révoltés par cet acte de cruauté, se sont mobilisés autour de la cause d'Oscar et demandent la condamnation de l'individu. Celui-ci a été arrêté et sera jugé lundi 03 février 2014. Des manifestations sont prévus en France pour défendre la cause animals. Et des pétitions qui demandent la condamnation du bourreau d'Oscar sont toujours ouvertes. Oscar est en vie. Il est actuellement à la Spa de Marseille. Il sera opéré lundi 03 février pour une fracture de la patte. OSCAR, a young cat was violently thrown against a wall by a man in Marseille, a few days ago. His act was filmed and this man has released this video on facebook. Many people, revolted by this act of cruelty, mobilized around the cause of Oscar and ask for the condemnation of the individual. He was arrested and will be judged Monday, February 3, 2014. Demonstrations are planned in France for the animals cause. And petitions asking for the condemnation of the executioner of Oscar are always open. Oscar is alive. He is currently recovering at Spa de Marseille. He will be operated Monday, Feb. 3 for a broken leg. 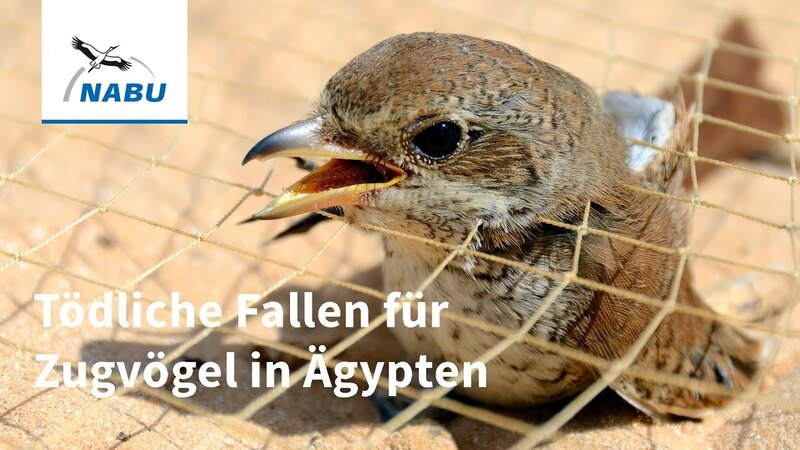 ✦Cruel Slaughter of migratory birds on the shores of Egypt 140 million birds killed every autumn!!! ✦A disturbing picture presents itself along the Mediterranean coast of Egypt: Journalists of the Bavarian Broadcasting Corporation (BR) have documented continuous nets along 700 km of coast, recalling a picture know from ball fences around sport courts. But here the nets are used to catch birds at an unimaginable scale, to offer them later as delicacies on the markets and in the restaurants across the country. ✦Two billion migratory birds are currently making their way from Europe to their wintering grounds in Africa. For 140 million of them the deadly final stop is called Egypt. One in seventeen of all European migrant birds gets caught in what is the largest bird trap in the world! ✦Along 700 kilometres the fine trapping nets are stretching along the entire Egyptian Mediterranean coast from Gaza to Libya. 700 kilometres of gapless doom. Some birds are flying up to 1,000 km a day, without resting even once. They accomplish incredible performances – every autumn anew. But instead of respect and recognition for their unique achievements it is agonizing death that is waiting for them. ✦Since the „Arab Spring“ and especially since the unrests earlier this summer, due to the crisis of state and economy, the hunt for birds has gone completely out of control. This unrestrained poaching is largely illegal – but nobody cares about the rules. Too tempting is the profit of the cruel deed: For a single quail the men get five Euros! ✦What is more is this: Many of the trapped bird species are red-listed in Europe. Many are facing extinction anyway and are being protected and nurtured in Europe with great expenditure. ✦We have to put an end to this insanity. Stop bird slaughter and cruelty to animals, protect the life of our migratory birds – together with NABU! Please sign this petition! •In November we will submit this petition to the Egypt government and to the German government. •With the help of our partner network of BirdLife International we are putting pressure on Egypt via national and international institutions. • We are supporting our partners and responsible government bodies in Egypt with advice and financial resources, to help them improve and enforce their hunting laws to put an end to this bird slaughter. Egypt needs a new start. Let’s make a start by tackling illegal bird slaughter. •We will prompt the German and other national European governments as well as the European Union to direct aid money especially to projects that are contributing to an end of the bird slaughter. RINGLING BROS. CIRCUS ARE THE LARGEST CRUELTY CRIMINALS IN U.S.!! PLEASE SIGN & SHARE WIDELY THESE ➨8 PETITIONS ! THIS IS A PICTURE OF A ABUSED BABY ELEPHANT (AT THE RINGLING BRO.CIRCUS) FORCING HIM TO PERFORM! In their native homelands, the animals you see in circuses are free to walk and run, choose lifetime companions, and raise their families. Tragically, these animals are held captive by circuses such as Ringling Bros. and are forced to perform confusing acts night after night for 48 to 50 weeks every year. In order to get these animals to perform stressful acts, Ringling trainers use whips, sticks, and bullhooks with metal tips that are jabbed into elephants’ sensitive skin on their thighs and behind their ears. Between acts, elephants are kept chained up like bicycles or confined to cramped pens, and tigers are stored in cages that are barely even large enough for them to turn around.Please help put an end to circus cruelty. Add your name to the petition urging Ringling Bros. and Barnum & Bailey’s Circus to end the cruel confinement and beatings of captive elephants and other animals by immediately retiring them to accredited sanctuaries !! Here at Animal Equalitywe’ve undertaken an intensive investigation into slaughterhouses and the dog meat markets in the Leizhou peninsula and the rest of the province of Guangdong in China. Release Poppaa the hippo from circus krone. Long time ago Poppäa III the hippo became a part of the German circus Krone. She entertained the spectators, was photographed with visitors and amused people for many years. She's not performing anymore, but still can‘t get the retirement she deserves. MARRE QUE LES ANIMAUX SUBISSENT LA CONNERIE HUMAINE! Ce site français de soutien aux animaux regroupe l'ensemble des actions de soutien aux animaux sur le territoire français . Ce site se bat contre la Corrida , contre les animaux dans les cirques, contre la chasse, contre le port de fourrure, contre la vivisection et contre tout ce qui implique la maltraitance des animaux. Aliens français rejoignez leur cause ! !